Hey Everyone! Our lovely Kat asked if I'd like to be a guest today, and of course I said yes, it's always an honor! 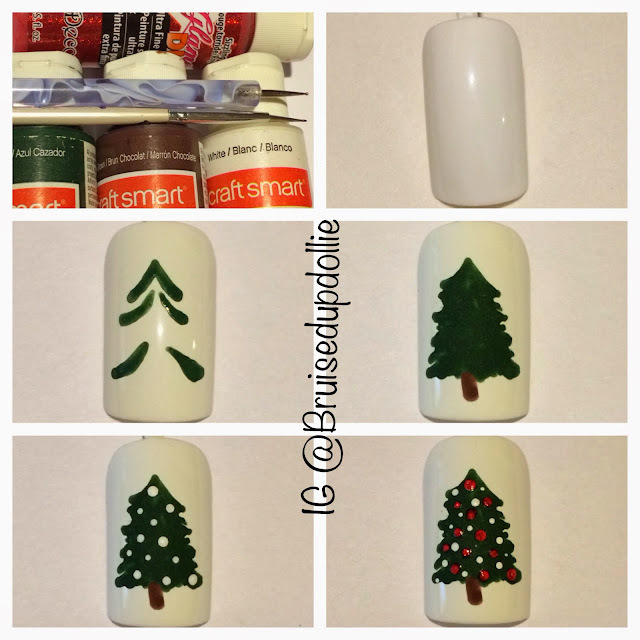 Sooo, I put together two simple pictorials for the Christmas season. Yay! I kept it really simple using only dotting tools and acrylic paints on a nail polish base. I used each design as an accent nail on each hand. For my accent nails I chose a white base. I used Sally Hansen Xtreme wear White On and for the rest a nice basic red. 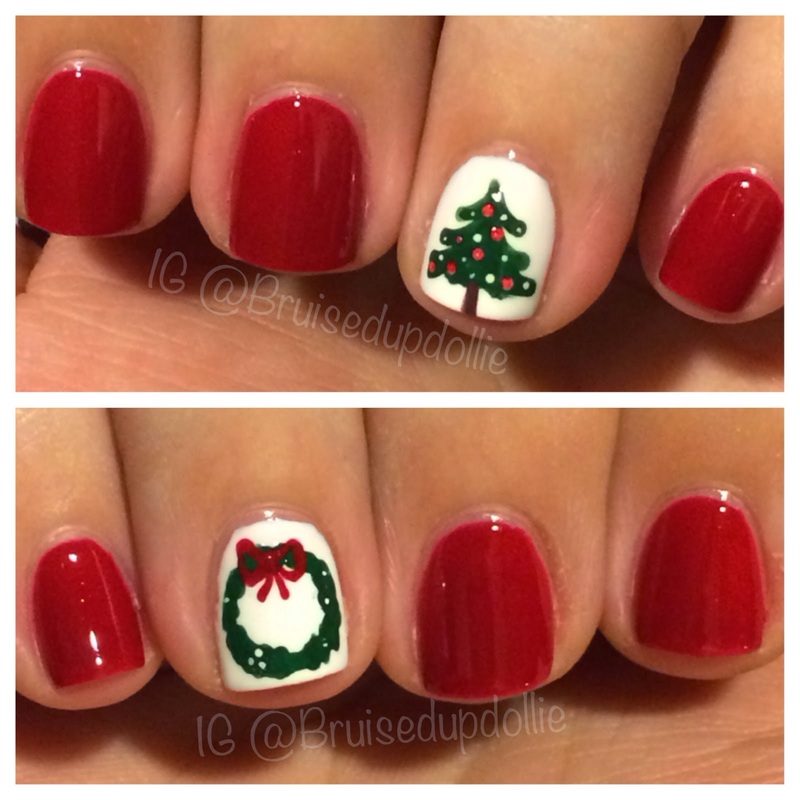 I used China Glaze Red Satin. 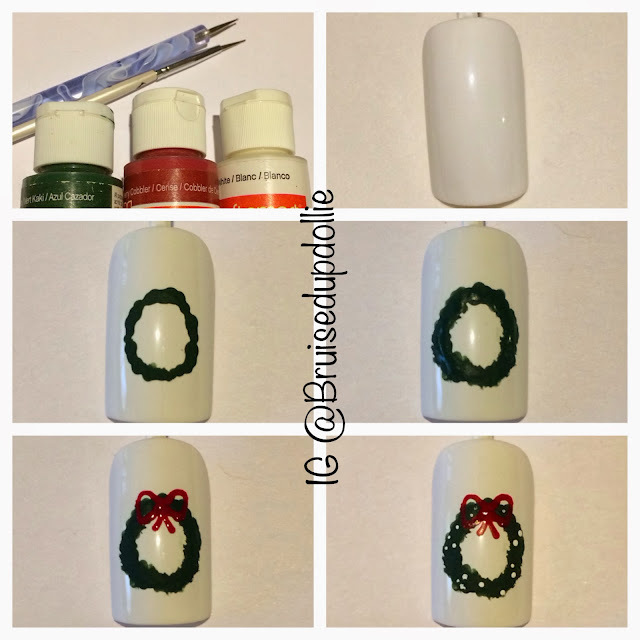 A big plus (for me anyway) was keeping the accents simple.... so simple it was a breeze to do them with my non dominant hand! Since my natural nails are much shorter I just painted less branches. I hope you like them as much I do! Thank you Kat for having me, and for all of the love and support you give! !